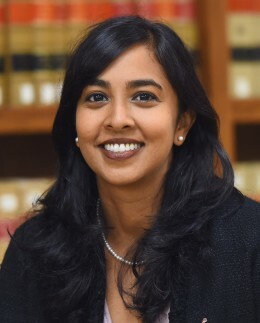 On Monday, February 4, Professor Anita S. Krishnakumar presented her paper, Backdoor Purposivism, at a faculty workshop at Arizona State Law School. On Tuesday, February 5, she presented Backdoor Purposivism at a seminar on Statutory Interpretation Theory taught by Bill Eskridge at Yale Law School. This paper breaks from the conventional “purposivism is dead or dying” wisdom in two important ways. First, it argues, based on empirical analysis of 499 Roberts Court statutory interpretation cases decided between 2006 and 2017, that traditional purposivism is alive and well on the modern Supreme Court. That is, while purposivist Justices in the modern era do pay attention to text and invoke textual canons in a way that their 1970s purposivist counterparts did not, modern purposivists have not abandoned the traditional purposive approach of identifying a statute’s policy objective and adopting the construction that best fits that objective. On the contrary, modern purposivists regularly invoke statutory purpose, intent, and legislative history—even if the Court as a whole does not. Second, and perhaps more importantly, the Court’s textualist Justices quietly have been engaging in a form of purposive analysis that comes closer to traditional purposivism than scholars and jurists have recognized. That is, the textualist Justices have been using pragmatic reasoning, as well as traditional textual canons such as noscitur a sociis and the whole act rule, to impute a specific intent or policy goal to Congress in many cases. This practice, which I call “backdoor purposivism,” goes beyond using text as the best evidence of statutory purpose and entails significant judicial guesswork and construction of legislative purpose and intent. The paper suggests that, in the end, there may be less distance between textualists and purposivists than the old debates suggest—but because textualists have embraced purpose and intent in unexpected ways, rather than because, or merely because, purposivists have become more text-focused. It concludes by advocating that both textualists and purposivists employ interpretive resources outside their preferred toolkit, in order to check the accuracy of their initial statutory readings and to curb the influence of their inherent personal biases.